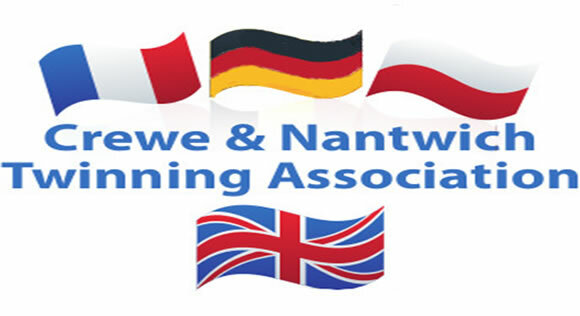 Crewe and Nantwich Twinning association are celebration their 25th anniversary weekend with twin towns from Bischofsheim in Germany and Dzierzoniow in Poland. A full programme to entertain both guests and all hosts will be produced. 13.00 hours Guest will arrive at the Civic Hall Nantwich where tea or coffee will be provided. Hosts will take guests to their homes to settle in. 19.30 hours return to the Civic Hall for welcome from both the Mayors of Nantwich and Crewe with welcome drink. 13.00 hours BBQ at St Andrews Church Hall Bedford St Crewe followed by Crown green bowling with Crewe bowling club. 19.30 – 10.45 hours Fifties band at the Civic Hall Nantwich. 13.00 hours Lyceum Theatre with performance by South Cheshire Concert Band followed by afternoon tea and tour of the lyceum back stage. If people wish and time and weather permits a sort town tour of Crewe can be arranged. 17.30 – 18.00 hours evening meal venue to be confirmed. Meet at Civic to say good bye.